Traffic School by Improv Comedy Club is a comedy traffic school Orlando residents can actually enjoy. This Orlando Florida traffic school is a basic four-hour driver improvement course that is an FDHSMV approved traffic school for anyone who gets a traffic ticket in the city. The course can be done completely online, which adds to its appeal. Traffic School by Improv Comedy Club is the best traffic school Orlando Florida has to offer. It's the one school that lets you laugh while you learn. It also meets your BDI requirements for attending traffic school. This feels more like a fun outing to a comedy club than traffic school If you received a traffic ticket anywhere in Orange County, Florida, you can satisfy your traffic school requirements here. Get your ticket dismissed and removed from your driving record as quickly as possible. This Orlando traffic school online course is fast and funny, making it a great way to make the best of a lousy situation. Why go to a boring regular traffic school when you can laugh with Improv's comedic Miami Traffic School? You can take the BDI course at Improv at your own convenience. The course permits an unlimited number of logins and logouts so you don't have to overwhelm and frustrate yourself by doing it all at once. Take advantage of the best traffic school in Orlando by doing a little bit of the course at a time until you're finished. As long as you're done by your court-ordered deadline, you can take as long as you need to finish. You can even do the course all in one day if you prefer. It's all up to you. Once you're done, you can print your certificate of completion directly from your computer at no extra charge. This certificate is available 30 minutes after you finish the course. Are You Eligible for an Online Orlando Driving School? You can only select driving school for a traffic ticket in Orlando 5 times in your entire life. So, be a good driver and avoid getting tickets so you won't lose your traffic school eligibility. It has to have been at least a year since the last time you took an Orlando approved traffic school course. You must complete the course within the timeframe given to you by the traffic court in Orlando FL, which is 90 days. The main advantage of choosing driving school is that you won't get any points put on your driver's license. That's something everyone can agree is a good thing. The second biggest advantage of choosing an Orlando driving school is that no violation will be entered on your driving record. Instead, your record will be updated as "adjudication withheld." That's a lot better than a conviction for a traffic violation! Traffic violations are civil infractions and usually don't require jail time or an attorney. Exceptions are any case in which you put a child in danger or cause bodily harm to someone else due to your violation. Property damage may sometimes result in more severe penalties than other types of driving violations depending on how much property was damaged and its value. In most cases, traffic violations can be taken care of with a court in Orlando FL by paying a fine, pleading not guilty and going before the traffic court to prove it, or by taking an Orlando approved traffic school. Sometimes you will have to pay a fine and attend traffic school. You will have 30 days from the date of the violation to decide which option you're going to use and to exercise that option. Pay online at myClerk with your credit card. You'll need to have your case number or citation number with you when you make your online payment. This is to make sure the payment is credited to the correct case. You can choose traffic school at this time. 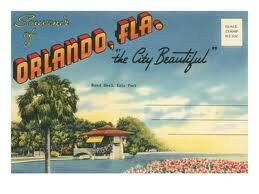 You can mail in your payment to whatever court in Orlando FL is handling your case. The information regarding the court will be on your ticket. You must mail in your citation with your payment and select the traffic school option listed on it. Go in person to the court handling your case, pay your fine, and elect traffic school. Once you've completed traffic school in Orlando, you must send your certificate of completion to the office of theOrange County Clerk of the Court within 90 days of paying your traffic ticket and electing to attend Miami traffic school. Remember, Improv is a comedy traffic school Orlando residents enjoy. If you've got to take the course, why not have fun doing it?